​Advancement of citizenship or Community development, including rural or urban regeneration. To meet this objective SKDT is keen to support community and voluntary organisations to grow by providing suitable facilities in Campbeltown which will also generate an income. Community consultation indicated that the Old Post Office was a high priority so SKDT commissioned an options appraisal to find a suitable end use which would address a community need. ​The public expressed a need to increase services for older people and Shopper Aide were in a position to fill the gap, however their current premises were not large enough to allow them to grow. SKDT has an excellent track record in community development and recently re opened the Town Hall after securing over £2million. Unfortunately the space available in this building was not appropriate to the needs of Shopper Aide and the Old Post Office was also not viable due to high restoration and development costs and an unwilling seller so instead SKDT considered the SSE Hydro Electric Building. 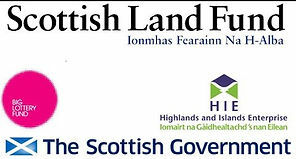 SKDT was awarded Stage 1 funding from the Scottish Land Fund to build a business plan which will support their Stage 2 application to purchase the building. ​The building is not yet on the market.